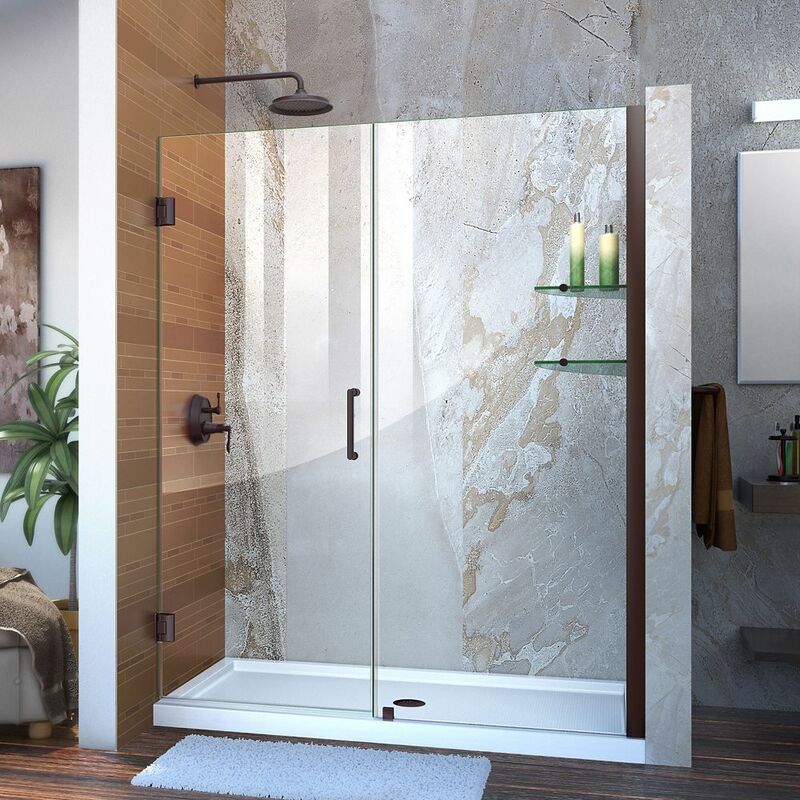 Unidoor 59 to 60-inch x 72-inch Frameless Hinged Pivot Shower Door in Oil Rubbed Bronze with Handle is rated 4.2 out of 5 by 5. Rated 2 out of 5 by ajones from Not highly recommended A gorgeous door...but no way to seal it to prevent leakage. The first time we showered in our large tiled in shower - our floors were soaked. Bad leakage on wall side and bottom side of the door. No seal/bad seal.